King's Gambit, Vienna Gambit lines - Chess Gambits- Harking back to the 19th century! 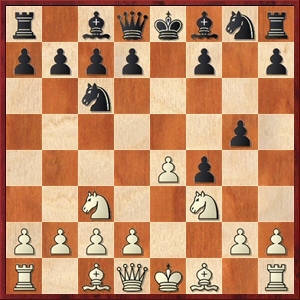 If White wishes to play the Vienna Gambit, 1.e4 e5 2.Nc3 Nc6 3.f4, but doesn't fancy playing against the variation 2...Nf6 3.f4 d5, then trying to reach it via the Quaade Gambit is an option (2.f4 exf4 3.Nf3 g5 4.Nc3 Nc6 as above). Although White's most reliable option in this position is probably 5.g3, more in the spirit of the Vienna Gambit is two ways of sacrificing a piece. Although still theoretically dubious, the Hamppe-Allgaier Gambit is more promising for White than the "normal" Allgaier (4.h4 g4 5.Ng5) because the inclusion of Nc3 and ...Nc6 gives White more control over the d5-square and brings White a move closer to queenside castling, while Black's king typically ends up out in the open. One sneaky way for Black to win the knight is 6...f3!? 7.gxf3 f6, but after 8.d4 fxg5 9.hxg5 White probably has enough compensation due to the strong centre and open lines. Instead, the more usual way to win the knight is 6...h6 7.Nxf7 Kxf7, whereupon White can try 8.Bc4+, but most reliable is probably 8.d4, threatening Bxf4. White generally gets good compensation for the piece if Black allows White to take on f4, so most critical is 8...f3, causing some disruption in the white kingside and intending 9.gxf3 Be7, counterattacking against h4. I think that objectively speaking, White comes close to achieving full compensation for the sacrificed knight, but probably doesn't quite get there, so this line is well worth a go at club level and probably well beyond that, but in high-level correspondence play I would have doubts. An interesting variation on this line is 3.Nf3 g5 4.d4 Nc6 5.h4 g4 6.Ng5, which may well be more promising than the Hamppe-Allgaier, giving White full compensation for the sacrificed knight, although in that variation White may be able to get a small advantage with 5.d5 instead. White generally intends to sacrifice the f3-knight by continuing development and encouraging 5...g4. If Black does not push the g-pawn, then White generally gets a slight advantage by pushing d4-d5, attacking the knight on c6. However, this form of the piece sacrifice is quite dubious due to the fact that Black already has the queen's knight out at c6, putting pressure on d4. White doesn't get very far with 5...g4 6.Bxf4 gxf3 7.Qxf3 Nxd4, or 6.Bc4 gxf3 7.Qxf3 Qh4+ 8.g3 Nxd4. Therefore White's most reliable follow-up is probably 6.Bc4 gxf3 7.0-0, as the Pierce brothers preferred, and 7...Nxd4 8.Bxf4 Bc5 9.Be3 generally leads to a draw with best play (although both sides have chances to go wrong) but Black also has a few unclear ways to play for more.